These People Lost 100 Pounds or More — Each! Whether your goal is to lose five pounds or 50, it can feel like an uphill battle at times. But for people who have 100 pounds or more to lose, that uphill battle can feel more like a wall. That’s when you lean on your tribe for support and encouragement to help you push through the times when it feels like you’re not getting anywhere. If you need proof that you CAN do this, that you WILL do this, then take a look at these weight-loss warriors who absolutely killed it. Their incredible weight loss didn’t happen overnight; they simply put one foot in front of the other and kept going — no looking back, no stopping until they reached their goal. Take a good look, because this WILL be you someday! Unhappy with his physical appearance, Craig was depressed and failing to take care of his health. He had a hard time breathing and doing simple tasks. He was worried that his two children wouldn’t be taken care of if something happened to him. 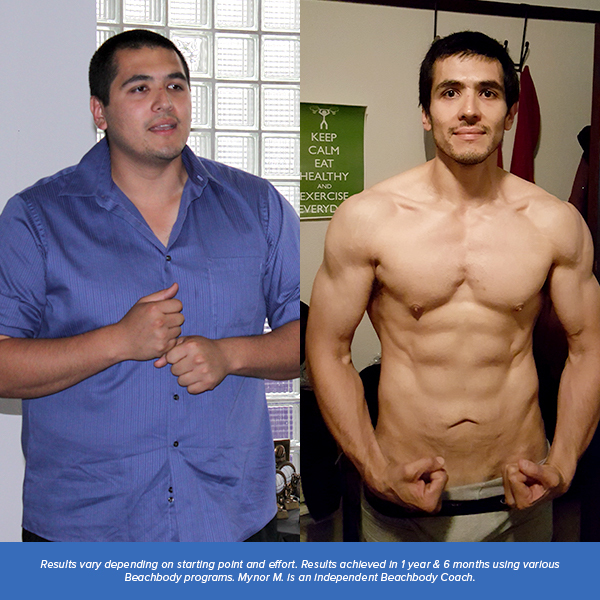 That all changed when he discovered Beachbody: After completing multiple programs over the course of one year and eight months, he lost an astonishing 128 pounds! A member of the Canadian Armed Forces, Jeremy knew that he wasn’t in shape to meet the physical demands of his job. 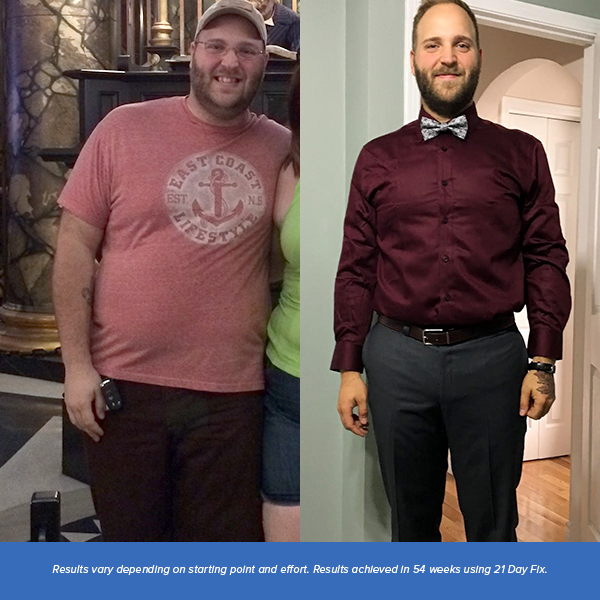 He decided to start 21 Day Fix after his doctor told him he was “grossly overweight.” After doing the program for 54 weeks, he lost an incredible 100 pounds. After a difficult pregnancy, Tierra found herself gaining weight at a rapid pace. She had zero core strength and had a hard time getting up from sitting or lying down. 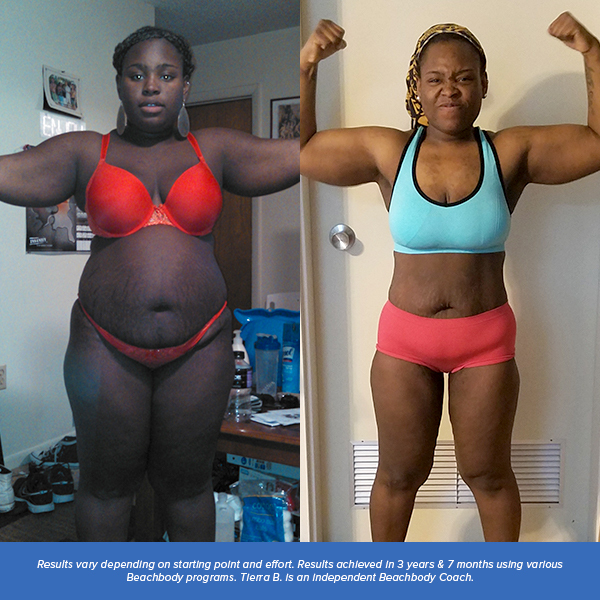 She decided enough was enough and ordered her first Beachbody program, INSANITY. 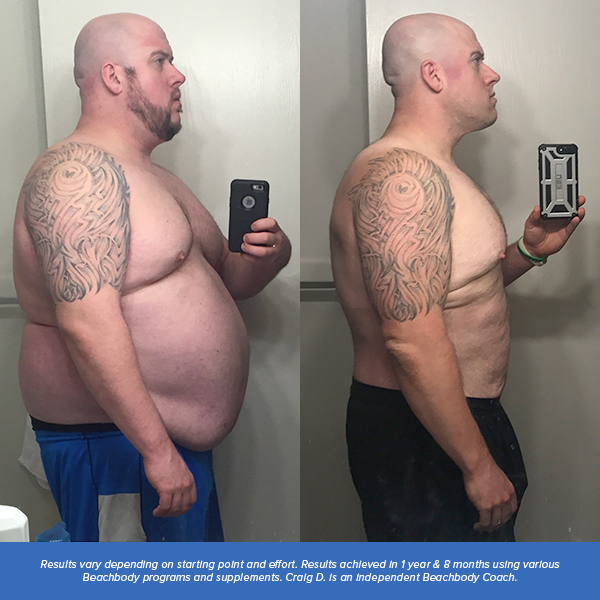 After seeing great success, she continued and has since completed several other Beachbody programs over the past three years and seven months. To date, she has lost 106.4 pounds! 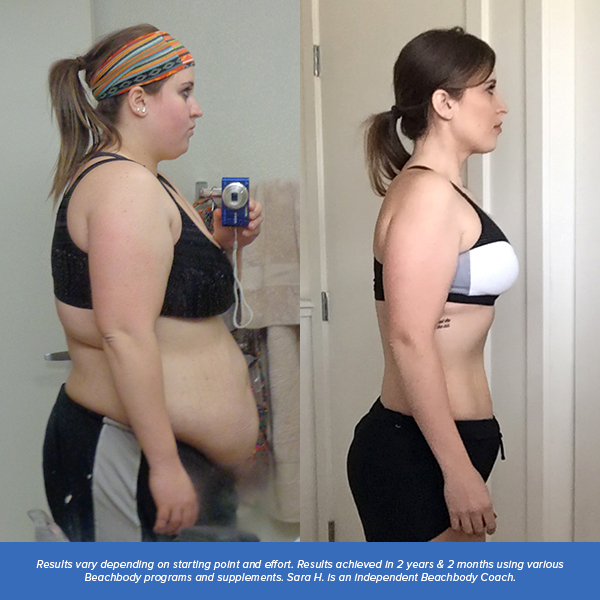 Overweight her whole life, Tasha rarely found time to dedicate to her health and fitness. She constantly over-ate, was always tired, and had no energy. Her turning point was when she went to a theme park and wasn’t able to go on any rides with her children because of her weight. That all changed after she dedicated one year and 11 months to doing Beachbody programs. So far, she’s lost a whopping 117 pounds and 38.75 inches! Sara knew she needed to start working out after a depressing day of wedding dress shopping. She was told that her dream dress wouldn’t fit someone of her size. After that, she reached out to a Beachbody Coach and her life has since changed. 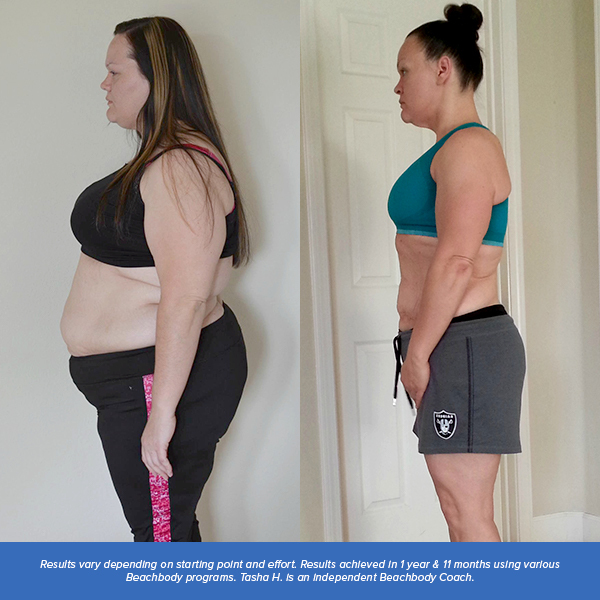 After committing to Beachbody programs for two years and two months, she lost 107 pounds and her self-confidence has sky-rocketed! Before beginning his journey with Beachbody, Jessie found it hard to do daily tasks such as going up stairs or tying his shoes. He was inspired to make a change when his daughter was born. 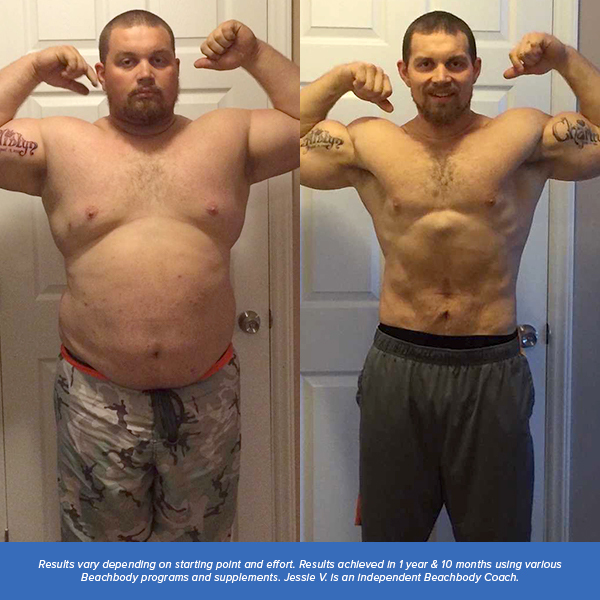 After committing to Beachbody programs for one year and 10 months, he lost 108.8 pounds and 34.25 inches! Christine was constantly tired, unhappy, angry, and felt defeated. She wanted to be more present during family activities, so she decided she needed to snap out of it and make a positive change for herself. 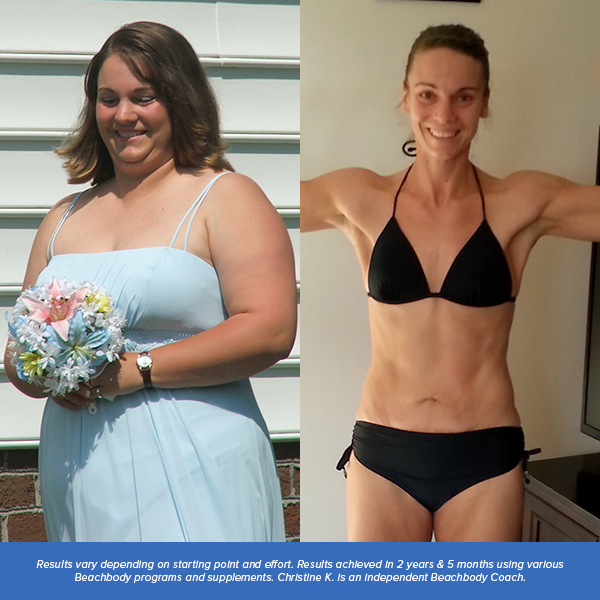 After two years and five months of doing Beachbody programs, she lost 112 pounds!